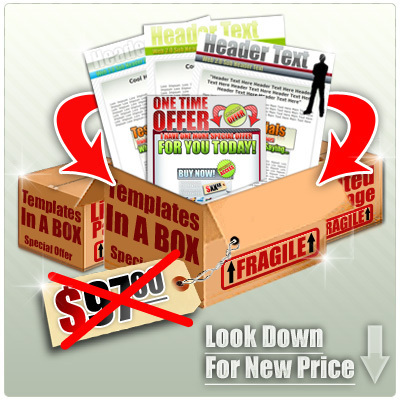 Templates In A Box 3 Set with Private Label Rights +Bonuses! You never cease to amaze me at the professional graphics packages that you offer on a regular basis. You always seem to outdo yourself. It is refreshing to have a consistant source for my graphic solutions. Your packages not only benefit me by using them but I will go on record to say that I have made at least 30 times back in profits for each package I have ever purchased from you. When I promote your packages they fly off the shelves! The simple two step formula the top "gurus" use to create urgency in their optin offers (don't do this and you'll lose up to 47 percent of your leads instantly). One More Reason To Grab It Now! There is a surprise for you inside the members area. But I won't reveal it to you now! It is only for those ready to take action. Let's just say, you will be able to get your tiny "investment" AT LEAST 10 times back. And I almost GUARANTEE it! Backyard Patio - 30 High Quality Plr Articles Pack!